The display is 1280x800 on a 13" screen laptop. 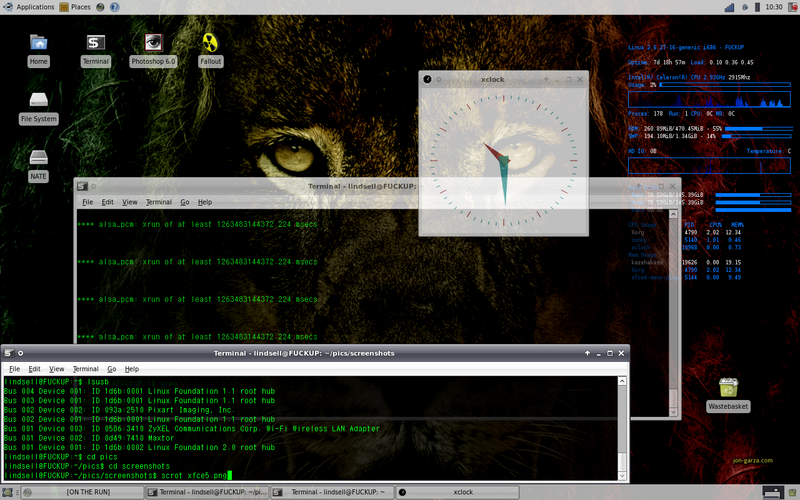 The two side panels are 48 px wide; the left launches apps and notifies, the right launches files and shell commands. Window margins are set at 0 top and bottom and 80 px right and left, which leaves a 32 px strip either side of a window for reaching the desktop to middle-click (show workspaces and open tasks), scroll with mouse (change workspace) or right-click (open menu). 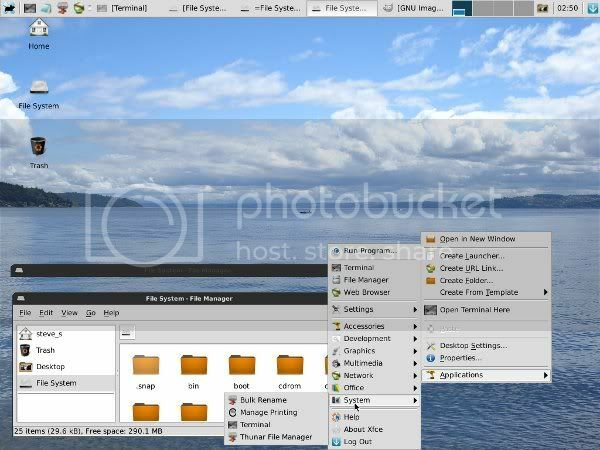 Why not provide some information about the gtk-theme, gtk-engine, icon-theme and the used xfwm4 theme? Perhaps even the distro, I would really appreciate those additional information. Details now included in shot. I have always liked it plain and simple. Only a few small changes, and with a photograph that I made myself and which worked out surprisingly well, I'd say. PS: how do you make screenshots without The GIMP? 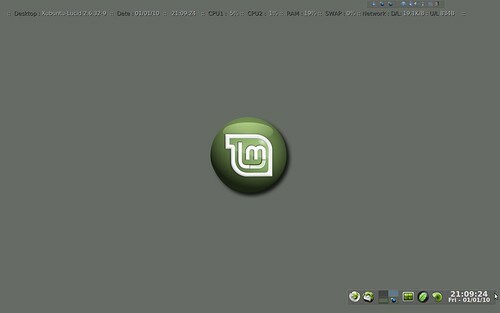 Xubuntu Lucid 10.04 Alpha 1 ... with Conky and Mint specific icons. First update for a while. 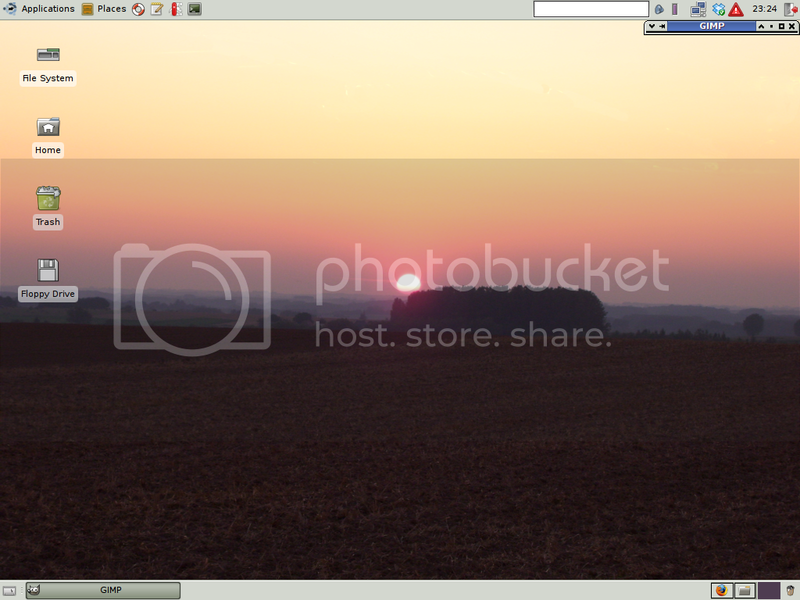 Ubuntu minimal 9.04, Xfce 4.6.1, Compiz + Emerald 0.82. Window tiling courtesy of wmctrl, invoked via shell scripts and bound to shortcut keys. God fed up trying to un-redirect redirected video and in a night of procrastination, overhauled my desktop theme. Was mostly inspired by Pioneer's website. 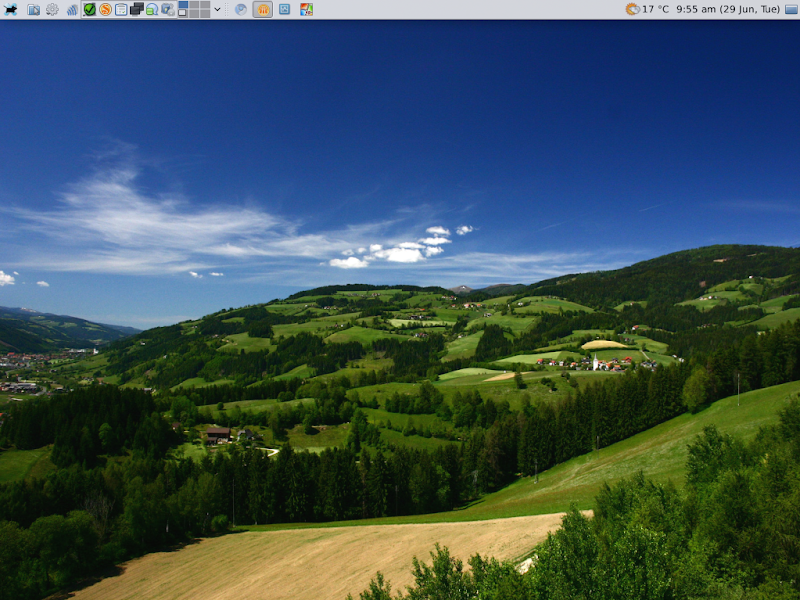 I still use the old xfce theme's, always pretty boring just simple and clean. I started using XFCE over GNOME because of Window List: it made having a single toolbar on the small screen so much easier. I've also started using Icon Box so I can easily see what's open - hover shows me the window title which is enough if I have multiple apps of the same type. etnlWings : how do you the translucent menues? ?